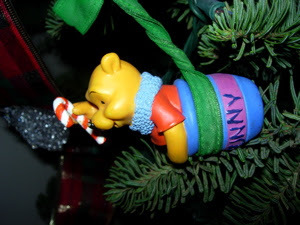 Here are some of my Christmas Tree ornaments. 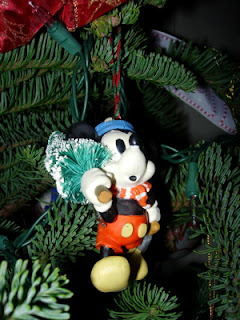 I've been collecting Disney Christmas ornaments for over 20 years now. 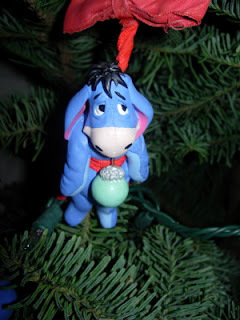 Only about half of the ornaments made it onto the tree this year. 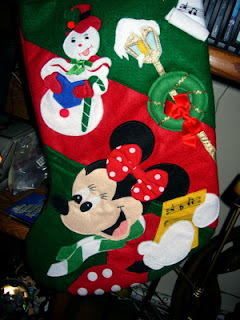 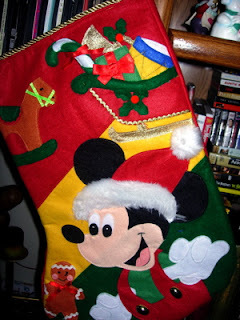 Here we have Mickey Mouse bringing in the Christmas tree, Jessica Rabbit baits you with some mistletoe, Winne the Pooh is still looking for hunny, Eeyore is just kinda hung up there, and we have cute Mickey Mouse and Minnie Mouse Christmas stockings.